Are you constantly distracted as you multitask throughout the day? It’s time to slow down and focus! The importance of mindfulness is something I’ve been hearing a lot about lately. My boss recommended a book by Daniel Goleman: Focus: The Hidden Drive of Excellence. This week’s issue of Time Magazine features the cover story: The Mindful Revolution. The science of finding focus in a stress-out, multitasking culture. Hmmm…is the Universe trying to tell me something? When I spend time in nature watching birds, I’m completely focused. Why? I’m unplugged, for one thing – no gadgets (well, not counting my camera!). And the birds are excellent teachers. Just watch them as they hunt for prey – they are 100% mindful of the task at hand. 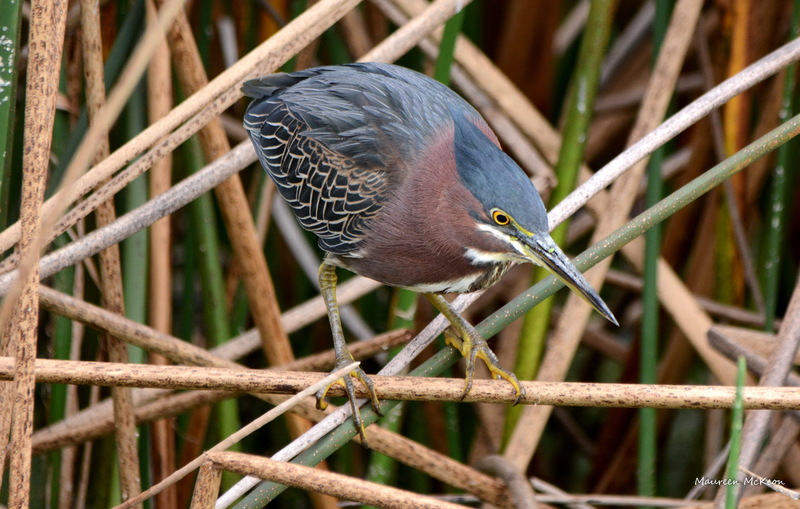 This green heron crouches patiently, waiting for his prey. He might even lure in a fish using a twig or insect as bait. Then in a flash, he snatches it up quickly with his daggerlike bill. 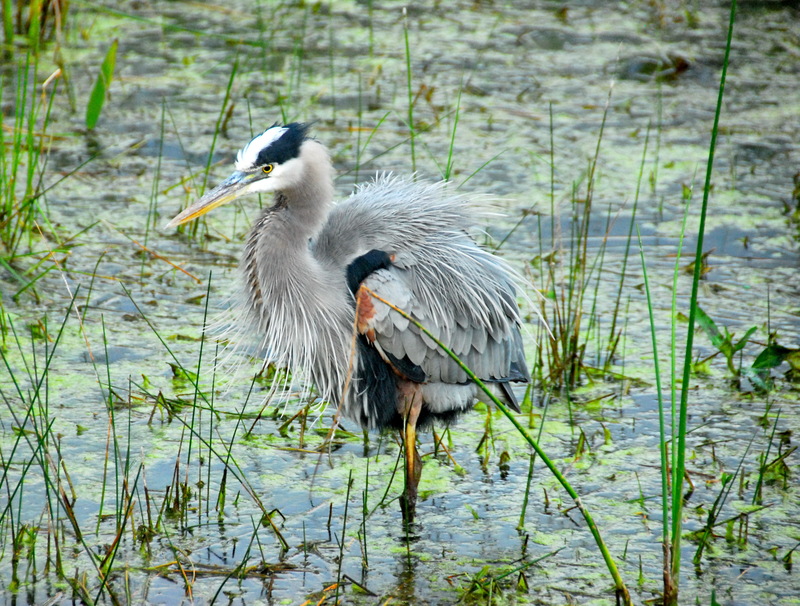 The great blue heron is unfazed by nearby humans as he wades with one purpose in mind – to find dinner for himself and perhaps his hungry family back in the nest. 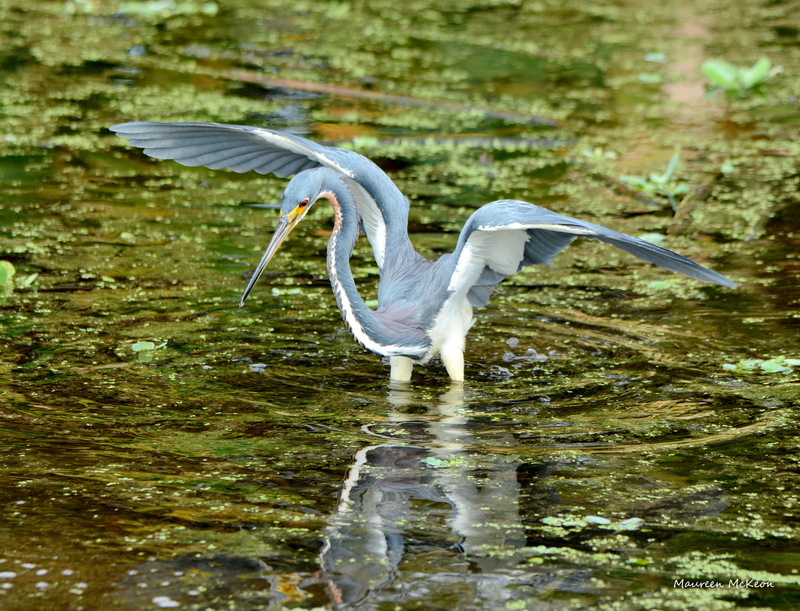 You might see the tri-colored heron jumping and flapping his wings, but don’t be fooled – he’s not performing for the camera; he’s 100% focused on stirring up his next meal. 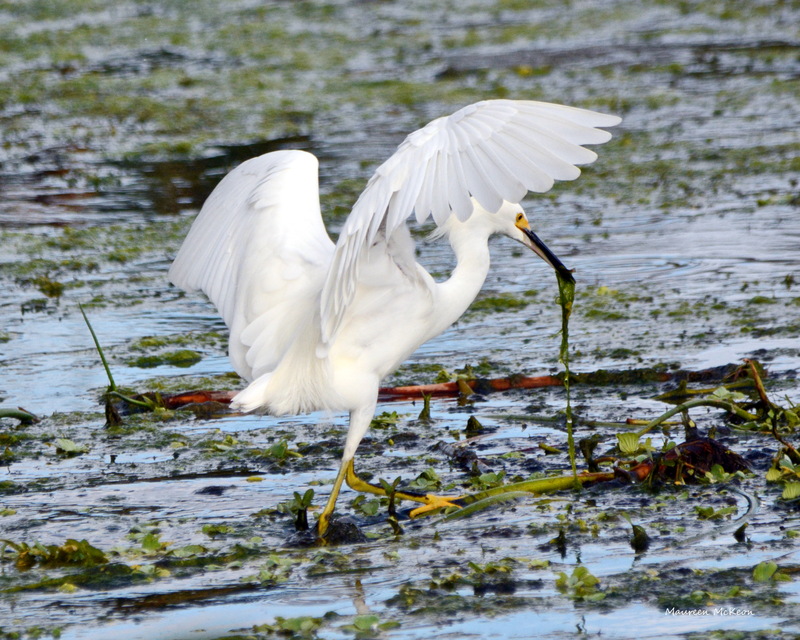 Absolute focus paid off for this snowy egret. 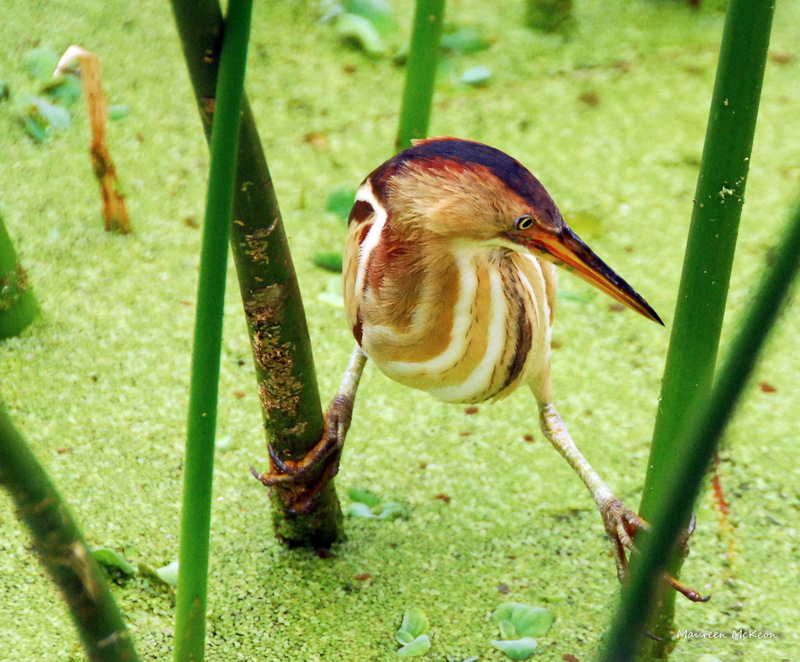 The elusive least bittern climbs on reed stalks, and strikes downward into the water with bill to catch a small fish. 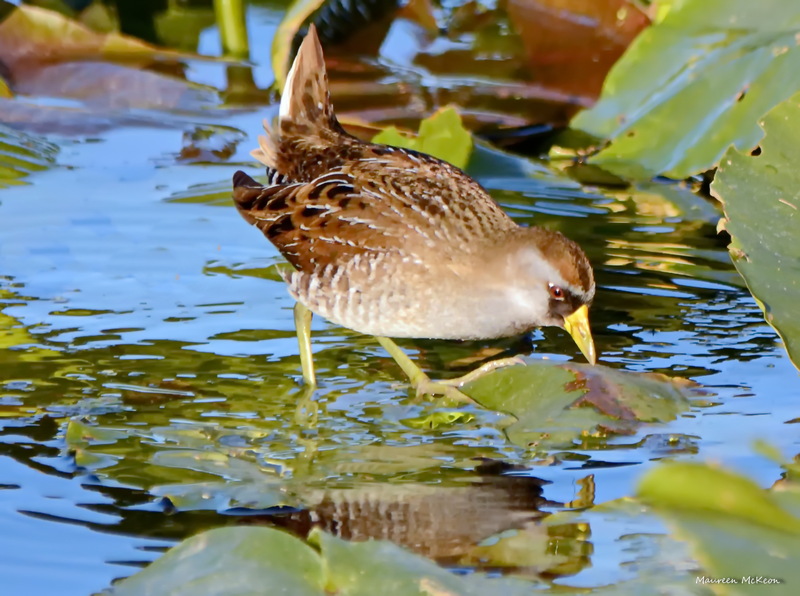 The shy little sora ventures out into the open to hunt for prey. Thanks Reen’ love your words of wisdom. You are right on point in my view. A great lesson on how to be successful at life.